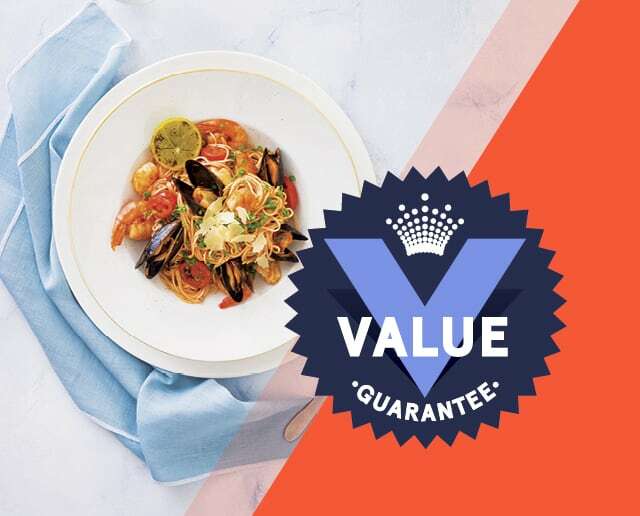 Crown Rewards members are able to enjoy a selection of meals for lunch and dinner at Junction Grill, 88 Noodle Bar or Market & Co for just $14.95 every day. Conditions apply. Delight in the ultimate two-course lunch or dinner for just $55. Conditions apply. Get your groove on, with free live bands at Groove Bar & Lounge playing all your favourite hits every day until late! Gather your friends and family together and live a little tastier with the choice of three delicious buffet options. Enjoy all the thrills of over 450 Casino games from just 2c per play. Delight your senses with TWR’s limited edition Ruby Chocolate inspired High Coffee Board. Enjoy a decadent two-course lunch with Moët & Chandon Brut Imperial, every Sunday at Bistro Guillaume. Conditions apply.